One of the most popular uses for a Windows Phone is to connect to corporate Outlook Exchange accounts via the built-in ActiveSync system. This enables virtually seamless data syncing with an Exchange server, allowing you to share contacts, calendar items and emails between a single Exchange account. For instance, you might access your Exchange account via Outlook on your computer; you possibly have access to it via Outlook Web Access, the browser-based interface that some businesses provide to their users. Setting up an Exchange account on Windows Phone 7 is usually a simple task, although in cases when it doesn’t work as intended you should consider these troubleshooting tips. Note that we are focussing on issues that might typically occur in Microsoft Exchange 2003 or later. 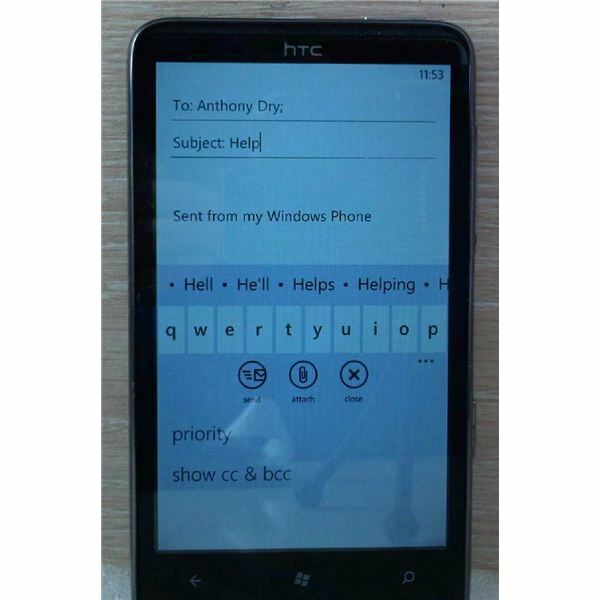 There are several different email types available on Windows Phone. You might have a Windows Live Hotmail account, for instance, which offers a form of “push email” much like Exchange, or you might have an IMAP or POP account from your ISP or another service. Google Mail also collects emails pretty much instantly, allowing you to keep on top of any messages that are incoming. With Exchange email, your email messages, calendar items and contacts are permanently synced between a Microsoft Outlook Exchange server and your phone. Typically these are set up in a corporate environment, due to the costs involved; if your boss wants to see you in his office in five minutes time, providing you’re in the building and have your phone switched on, you should see the email from him, as well as a brand new calendar item relating this news. If this isn’t working, then clearly there is a fault. Setting up an Exchange account in Windows Phone should be simple, but if the phone repeatedly informs you that the “Account information is incorrect” when you’re certain it isn’t, there is obviously a problem. In order to troubleshoot this problem, the first step is to put your phone down for a moment, and head to a PC. Here, log in to your Outlook Web Access, and check the account credentials. You should be entering your username and password, and you will probably find that you can log in. You need to make sure that your Windows Phone 7 Outlook account info isn't incorrect, so checking it by entering it on a full-sized, physical keyboard is a good idea. Outlook Web Access connects to the Exchange server in the same way as your Windows Phone, so if you are unable to log in here, the problem is with your credentials, and you should contact your system administrator for further assistance. However, you might find that you can log in without a problem. So what does this mean to your Windows Phone? Probably the best way of resolving this problem is to delete the account, restart your phone and recreate it – it really is that simple. To delete your account, open Start > Settings > Email & accounts, tap and hold the account in question and select Delete from the context menu. Next, hold the power button on your Windows Phone until the “Goodbye!” message appears. When your phone has shut down, tap the power button again to restart. Once booted, go to the Email & accounts screen again and select + Add an account, selecting Outlook as your account type and entering your email address and password. You should then find that the issue is resolved!